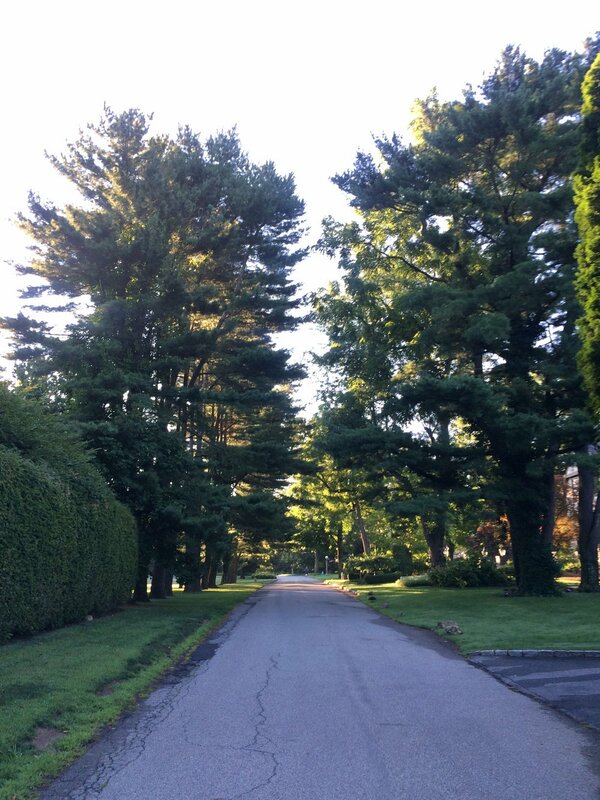 If you drive down any of the tree-lined streets that interlace the City of Rye, you will be hard pressed not to admire the leafy allure and aesthetic appeal that these sometimes overlooked ‘street trees’ lend to our municipality. Trees enhance our surroundings in so many ways. Trees planted along and around buildings provide a distraction for the eye, softening the background and screening unsightly views. Trees also contribute eye-catching colors to their surroundings, from the different shades of green found in the leaves, the colors found in flowering trees and sometimes even the bark of the tree. Aside from helping to make Rye such a beautiful place to reside, trees provide many important environmental and economic benefits, some of which are included below. Most important, perhaps, studies have shown the positive mental-health benefits of living in a community surrounded by trees. The City of Rye has experienced a number of severe floods in recent years. Trees are important flood mitigators. They act like sponges to intercept rainfall and absorb precipitation so that water is gradually released into the soil. In addition, tree canopies have been shown to lessen the force of storms and slow down water runoff, which ensures that our groundwater supplies are continually replenished. Trees act as natural greenhouse gas sinks. Suburban forests reduce atmospheric CO2 by directly sequestering CO2 in their stems and leaves while they grow. Planting trees remains one of the most cost-effective means of drawing excess CO2 from the atmosphere. If every American family planted one tree, the amount of CO2 in the atmosphere could be reduced by one billion pounds annually. This equates to almost 5 percent of the amount that human activity pumps into the atmosphere each year. Trees also remove other pollutants from the air and help cleanse it. Some examples of common air pollutants reduced by trees include sulfur dioxide (SO2), ozone (O3), nitrogen oxides (NOx) and particulates. Trees help to modify local climate by lowering air temperature, increasing humidity, influencing wind speeds and reducing glare. When homeowners incorporate a thoughtful and informed tree planting plan into their landscaping program they benefit from savings on daytime air conditioning — by some estimates, a reduction in electricity use of between 0.9 and 4.8 percent. Trees (mostly evergreens, as deciduous trees lose their leaves in the winter) also help with energy costs in the winter by blocking cold winds and reducing strain on heating units. Trees provide shelter and food for a variety of birds and small animals. Flowers, fruits, leaves, buds and woody parts of trees are used by many different species. Bacteria and fungi contained in tree parts cause decay, which makes nesting easier for some birds and structure for furrowing for other land animals. Aside from adding aesthetic appeal and beauty to areas where they are planted, trees have also proven to benefit a community’s economy and way of life. Depending on species, maturity, quantity and location, property values can increase 5 to 15 percent when compared to properties without trees. Newer PostIs an Electric Vehicle Right for You and Your Budget?